TotallyYourType: Someone is Typing at My Business! What Should I Do? Remember the old boom boxes? Now a person entering a place of business with a boom box blaring at full volume---now that would be a disturbance! You make some good points. 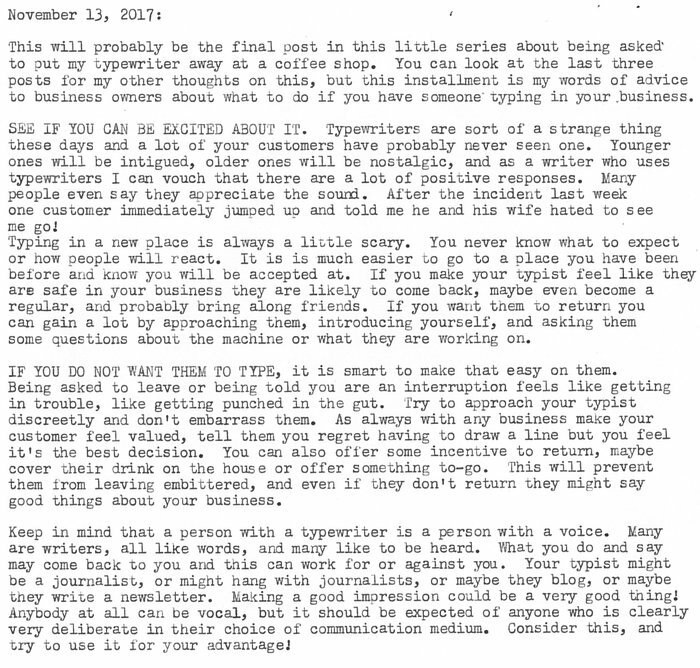 My wife and I have become regulars at a local business because when we visited a few months ago I found they let the area typists type there. Area typists? How many are there? Where are you at where there are "area typists"? That's awesome. I really wish there were more in my area, that would be so fun! I think your advice makes sense. Above all, people should realize that typists add color and character to a place.